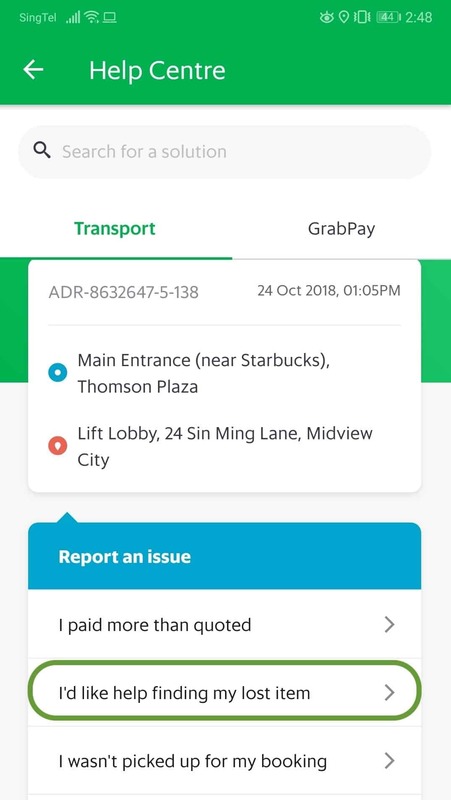 Lost something on Grab? Meet the Lost & Found Guy. Well, drivers do make the effort, very often on their own time, to return any found items to the Lost & Found department at our Driver Centre. Found items are kept for a month at our centre before they are donated to charity. Now, what can you do if you do leave something behind? Head to the Help Centre section in your app, search for your ride history and select “I’d like help finding my lost item”. 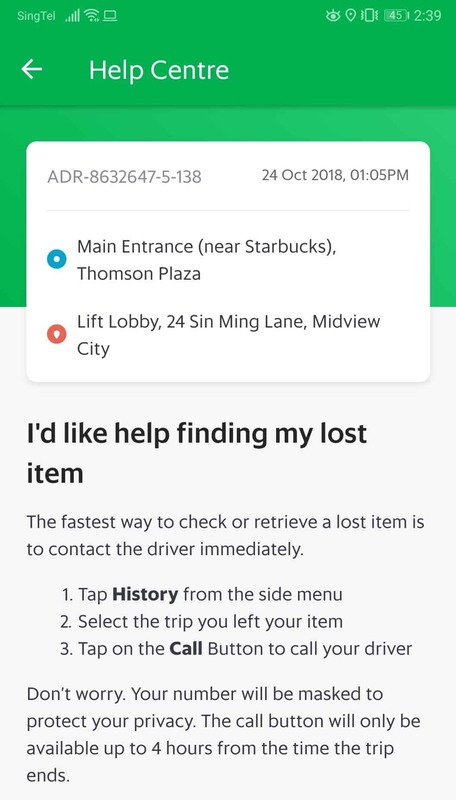 If you lose your item within a four-hour window, you can call your driver directly (number masking technology will be used to ensure privacy). If you realise your item is lost after 4 hours, you can still go to your history and submit a request for help via the Help Centre.